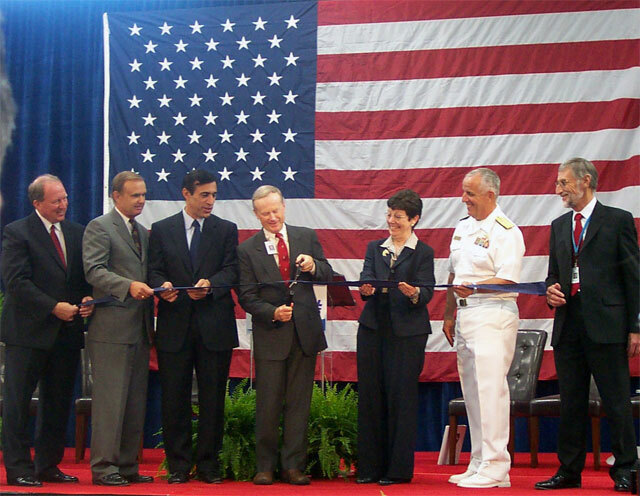 On October 17, 2006 the Electromagnetic Systems (EMS) Division of General Atomics dedicated its new facility (Bldg. 86) with a celebration attended by more than 300 people, including EMS employees and support staff, upper management from other GA divisions, and invited guests. Mike Reed, Vice President, EMS Division, provided welcoming comments and acted as emcee. Identical twin sisters Shauna Hart Ostrom and Shelly Hart Breneman sang the national anthem in harmony. Remarks were offered by Dr. Dolores Etter, Assistant Secretary of the Navy for Research, Development and Acquisition, Rear Admiral David Architzel, US Navy Program Executive Officer for Aircraft Carriers, Congressman Brian Bilbray (50th District) and Neal Blue, Chairman and CEO of General Atomics. Also present was Congressman Darrell Issa (49th District). A symbolic ribbon-cutting ended the program. The dedication ceremony was held in the high bay area, which was decorated with 16 ft-high banners showcasing the primary EMS program areas. A video projection showcased the new EMS video, as wells as photos of the building construction and of Navy ships and planes. Catered food stations were placed around the room, promoting mingling among the attendees. 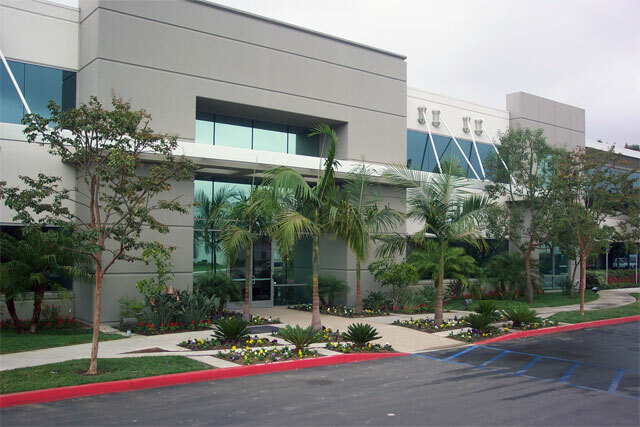 This newly constructed 150,000 square foot facility at 16969 Mesamint Street in Rancho Bernardo will serve as division headquarters and will house program management, engineering, design, development and prototyping staff. The building includes 80,000 square feet of high bay area and 70,000 square feet for 300 offices. It will be supplied with 12 megawatts of power, which will allow testing and prototyping operations that few companies can perform. EMS develops advanced electromagnetic systems for military and commercial customers. Many projects are aimed at increasing electrical functionality aboard Navy ships. These include the Electromagnetic Aircraft Launch System (EMALS), Advanced Arresting Gear, Superconducting DC Homopolar Motor, and the US Navy Rail Gun programs. Another major effort is the development of maglev technology for cargo transport and urban transportation. Neal Blue, Dr. Delores Etter, Rear Admiral David Architzel, and Dave Roberts.